We are pleased that you are interested in applying for the Master's course in Global Studies within our consortium. Please find in the following information on the requirements and a guide on how to apply. * The accreditation/recognition is based on the requirements set by the Central Office for Foreign Education. NB: In some countries a further year of study in a Masters course might be necessary in order to be eligible for admission. See also the information provided here. The application round for the 2019 intake as well as the Erasmus Mundus scholarship will open on February 1st. The application deadline for applicants who would like to apply for admission to the programme AND the Erasmus Mundus scholarship elapses on March 29th for the programme starting in fall of the same year. For 2019 this deadline has been extended until April 30th, 2019. NB: For the 2019 intake only in July 2019 a decision will be taken by the EU if further Erasmus Mundus scholarships will be provided to students studying in the EMGS programme. For applicants who do not want to apply for the Erasmus Mundus grant or who missed the Erasmus Mundus grant deadline it is possible to apply until May 31st of each year as a self-paying student for the next cycle of the programme starting in fall of the same year. Meeting the application deadline will be established by the date of arrival of the paper application in the Leipzig office AND by having completed the online registration. Applicants will be informed at the latest by the end of July about the outcome of their application for admission to the Master in Global Studies. Information on the outcome of the Erasmus Mundus scholarship can be provided only after the EU has informed the EMGS Consortium about their decision (which will be most likely in July). The application process will be two-fold and is comprised by filling in the online registration form AND by posting the in this box listed documents. Only applications of applicants who have filled in the online registration form and whose documents are received within the given deadlines (see above) will be taken into consideration for admission/the Erasmus Mundus scholarship. 1. Print out of the online Registration form (see box on the right). In the online registration the following information will be requested: your home address, your date and place of birth, your e-mail address, your preferred mobility track (preference since final decision on the study places is made by the consortium), information on your high school and university education. 3. Motivation letter in English which explains why you are interested in this particular Master course (1-2 pages). In case you do have a preference for your mobility track please specify in the motivation letter why you would like to study at the respective universities. 5. Proof of residence (only applicable for applicants who would like to apply for the Erasmus Mundus scholarship). According to the rules set by the EU this proof can be either provided in form of a residence certificate issued by the candidate's municipality OR a certificate from the candidate's place of work, study or training issued by the respective institution. The document must have been issued within 12 months before the submission deadline of applying for the scholarship, i.e. for the 2019 application round after March 29th, 2018.
o TOEFL (international): minimum score of 550 paper-based (or 213 computer-based or 80 internet-based). Please notice that the code number for the Master's course in Global Studies is: 4688.
o Applicants who have studied for more than one year in, or received a degree from, a college or university where English was the medium of instruction are not requested to take one of the above-mentioned proficiency test. An official certificate from the applicants' school/university is required to confirm that English was medium of instruction. Please try to avoid the use of plastic/paper files and staples. All applications are in English and in PAPER. 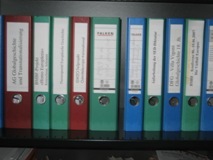 As indicated above some documents must be included as certified copies and certified translations in English (or German) and in the original language. Documents issued in English or German must be included as certified copies only. A certification can be made by any authority that does have an official seal with national coat of arms (in Germany these are town hall, police, courts, rectory and notaries) or by the authority who issued the respective document in this case a stamp of the respective authority would be sufficient. In case you do not submit all documents requested by the date of the application deadline the missing documents might effect in a lower score point during the selection procedure and thus might lead to a reduced chance to receive an admission for the programme and/or to be nominated for an Erasmus Mundus grant. Please be informed that in case you are selected for admission to the programme and/or proposed for an Erasmus Mundus grant your data may be used for the purposes of evaluation purposes in order to efficiently manage the project, and producing statistics and could be made available to the EACEA, the European Commission, the European External Action Service staff, as well as to other stakeholders of the Erasmus+ programme, such as Erasmus+ National Agencies, National Erasmus+ Offices and the Erasmus Mundus Student and Alumni Association as well as staff of any of the participating universities. Please see in this regard also the information provided by the EACEA on the processing of personal data. All applicants who start the programme as self-paying students will be charged with a processing fee of € 75 for the application. We will inform you about the payment details when sending you the admission letter. Please note as well that we do NOT return any of the documents you have sent no matter if you receive an admission to the master's course or not. If you should have any questions concerning the application or the Master's course, please write an e-mail to Mrs. Konstanze Klemm: em(at)uni-leipzig.de. The application process is two-fold and is comprised of an online registration AND by posting the documents listed in the box “documents to send”. To access the online registration, please click here. First you have to create a user account. Click the button “Application” and then “Create user account”. Fill in the requested information and click “Next”. Please check your data and then click “Create account”. AlmaWeb send an initial password to the email-address you specified in the registration within the next 10 minutes. 2. Visit again the above website and enter your login. “Username”: your email-address / “Password”: use your initial password. You are requested to change your password after the first login. 3. For application click “application” in the menu, then “find courses” and choose under “subject” Global Studies, then click “search”. 4. Then please check for the course with the following information: “WiSe 2019/20, admission restricted, aptitude test required, subject semester 1” and click on “apply”. Enter all requested data starting with the section “Welcome”. 5. Check that all sections have the status “ok” in the final application summary and then submit the online-application. Print the form “Anmeldung_Master” (2-pages) and answer the questions on page 2, then sign it and post it together with the other documents to be send to the Leipzig office.